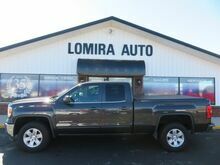 Back Up Camera, Gray, Cruise Control, Alloy Wheels, Keyless Entry, Air Conditioning, Tonneau Cover, Grey Spray In Bed Liner, Remote Start, 6-Speed Automatic Electronic with Overdrive, 4WD, jet black Cloth. CARFAX One-Owner. Back Up Camera, Bedliner, Air Conditioning,Remote Start, 6-Speed Automatic Electronic with Overdrive, 4WD, Gray, ABS brakes, Alloy wheels, Bed Liner, Compass, Electronic Stability Control, Emergency communication system, Front Frame-Mounted Black Recovery Hooks, Heated door mirrors, Illuminated entry, Low tire pressure warning, Rear Vision Camera w/Dynamic Guide Lines, Remote Keyless Entry, Remote keyless entry, Single Slot CD/MP3 Player, Traction control. 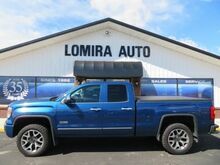 Spray In Bed Liner, Running Boards, Remote Start, 4WD, Charcoal, ABS brakes, Compass, Heated door mirrors, Illuminated entry, Back Up Camera, Remote Keyless Entry, Remote Vehicle Starter System,Traction control. Odometer is 3507 miles below market average! Clean CARFAX. 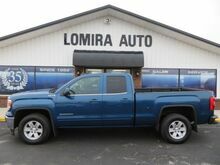 Spray In Bed Liner, Running Boards, Remote Start, 6-Speed Automatic Electronic with Overdrive, 4WD, Black, Heated Driver & Front Passenger Seats. CARFAX One-Owner. Clean CARFAX. 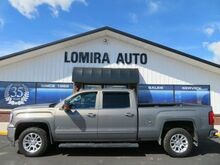 4D Crew Cab, EcoTec3 5.3L V8, 4WD, Dark Slate Metallic, Jet Black w/Leather Appointed Seat Trim, Enhanced Driver Alert Package, Forward Collision Alert, IntelliBeam Automatic High Beam On/Off Headlight, Lane Keep Assist, Low Speed Forward Automatic Braking, Navigation System, Power Sunroof, Remote Locking Tailgate. CARFAX One-Owner. Priced below KBB Fair Purchase Price! Clean CARFAX.